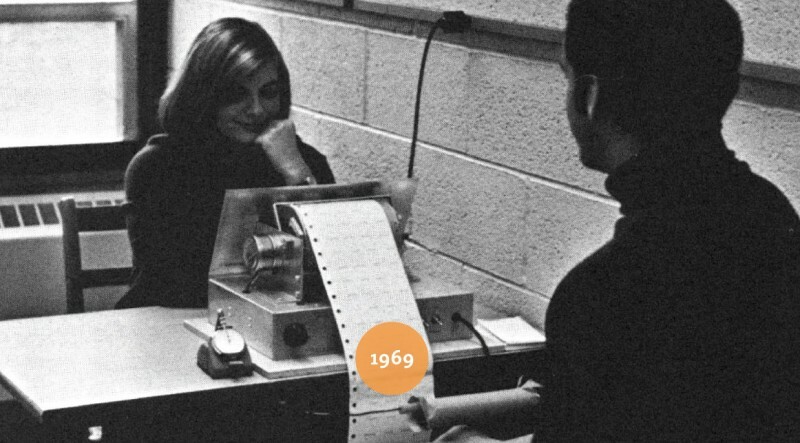 A Psychology Department experiment 50 years ago studied the role heredity plays in the IQ of a human being, concluding that environment also has important effects. 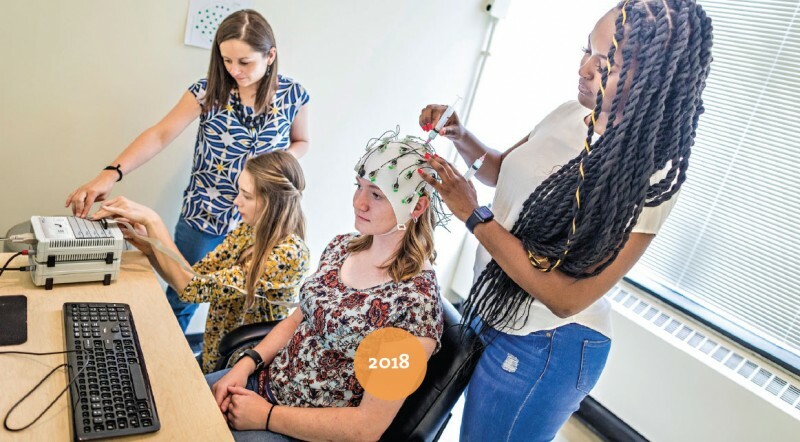 In a Summer Science Research Program experiment last summer, (from left) Assistant Professor of Psychology Kira Bailey served as faculty mentor to Mickey Rice ’19, Lexi Lease ’19, and MaLia Walker ’19, who studied the effects of video game exposure on cognitive control. Participants in the study played 20 minutes of either a first-person shooter or strategy video game, and then completed tasks that assess cognitive control while temporary changes of their brain’s electrical activity were recorded from the scalp, as shown here.